Peter Salerno’s 2015 Year in Review: Happy New Year! [PHOTOS] – Design Your Lifestyle. 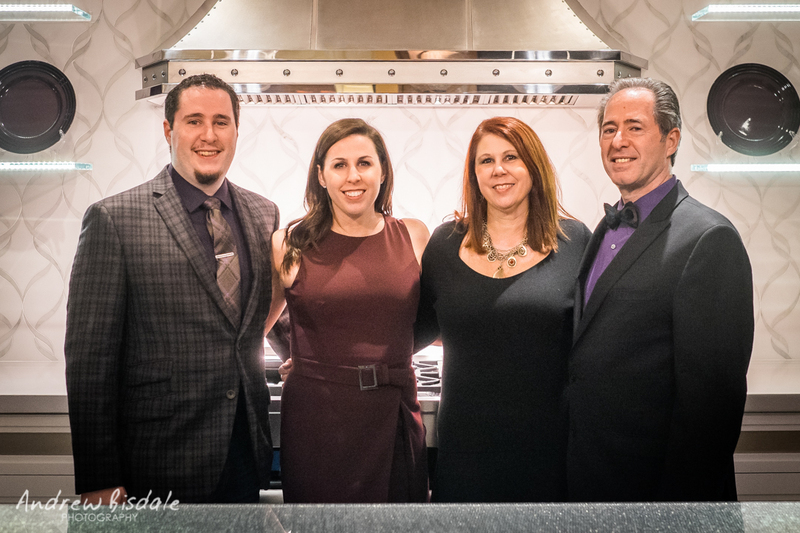 Happy New Year From Peter Salerno Inc.
2015 was a remarkable, thrilling year for Peter Salerno Inc. From prestigious awards to a new showroom vignette, installing custom kitchens in Russia to the birth of Peter’s first grandchild, 2015 was a year of unforgettable moments, hard work, and love. It’s impossible to describe what each of the following moments meant to Peter Salerno, his team and his family, but we’ll do our very best to convey it as best we can. It truly was a wonderful year, both personally and professionally, and a wonderful platform on which to build a successful 2016! On behalf of everyone at Peter Salerno Inc., we proudly share these moments with you, and wish you and your loved ones a very happy, safe, prosperous New Year. May you have your best year ever in 2016! At the 2015 KBIS convention is Las Vegas, Peter Salerno Inc. was honored with multiple design awards, as well as the 1st place award for Most Innovative Showroom (Small). It was an exciting moment for Peter Salerno and his award-winning design clients (the Connors), as well as a sense of accomplishment for Peter and his team. 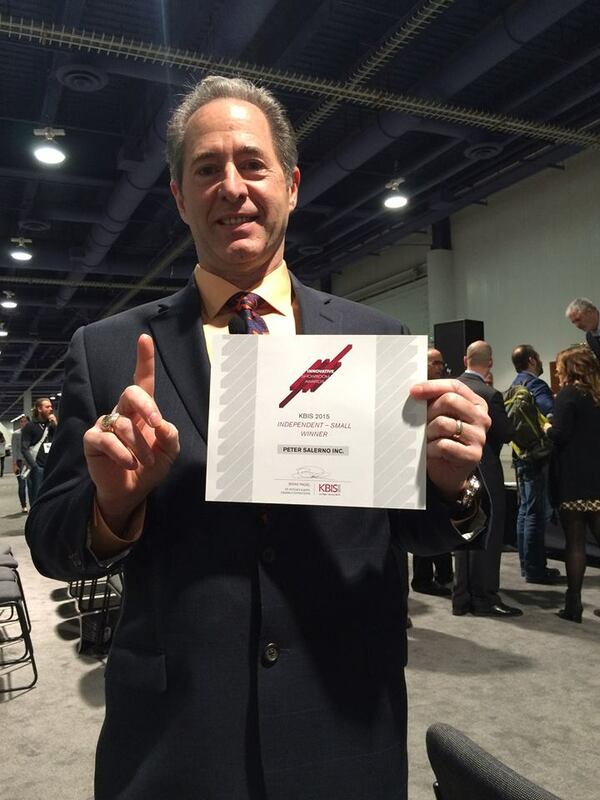 Peter Salerno with the KBIS Innovative Showroom Award – 1st Place, Independent Small Showroom. With his 2015 KBIS awards, Peter Salerno and Peter Salerno Inc. became 30-time national kitchen and bath design award winners, making them the most awarded North American design firm this century. This is a point of pride for Peter and his team, but it also brings a sense of responsibility. Peter Salerno believes awards only mean something if you keep working hard and remain inspired. Peter promises every new client his very best work, and who knows – maybe your custom kitchen or bath design from Peter will be his next award winner! 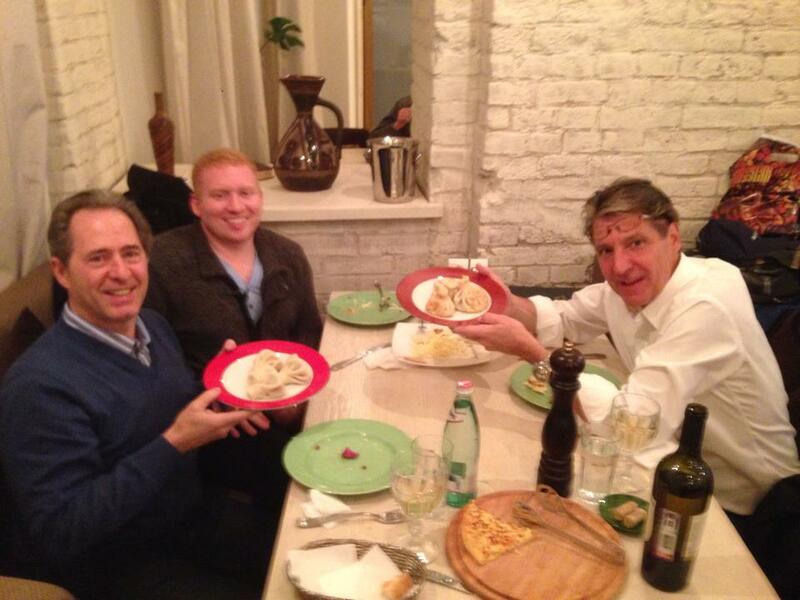 Peter Salerno enjoying a fantastic meal in Moscow. Earlier this year, the official Peter Salerno Inc. blog brought you exclusive access as Peter Salerno visited Moscow to discuss the design, construction and delivery of gorgeous new custom kitchens for an international client. It was Peter’s first Russian client, and the team couldn’t have been more thrilled to get started. Jesse was born on Tuesday, September 8th, at 9:10 p.m. She weighed in at a healthy 6 pounds, 5 ounces, and was 20 inches long. 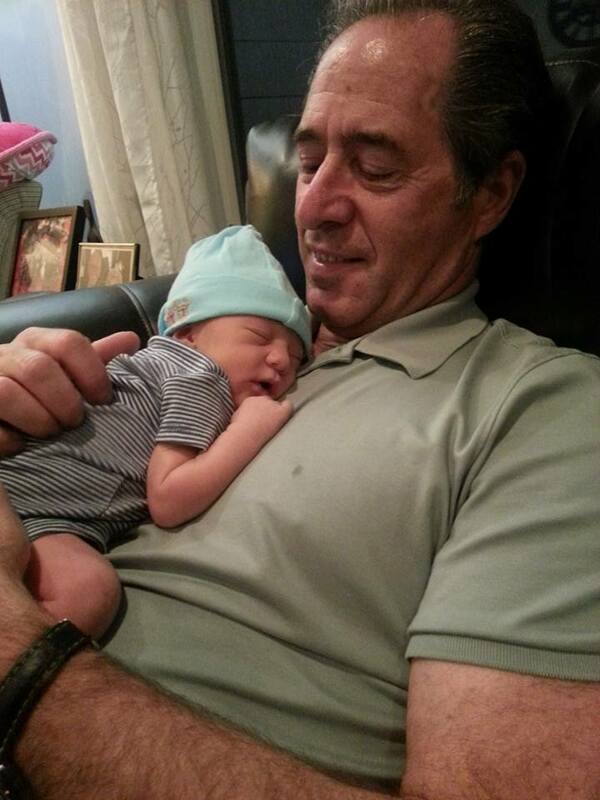 Anthony and Eve were blessed to be surrounded by the love of all four of Jesse’s grandparents, as well as Jesse’s ecstatic aunt and uncle, Gabrielle and Brian Mayer, and her uncle Ben Turner! 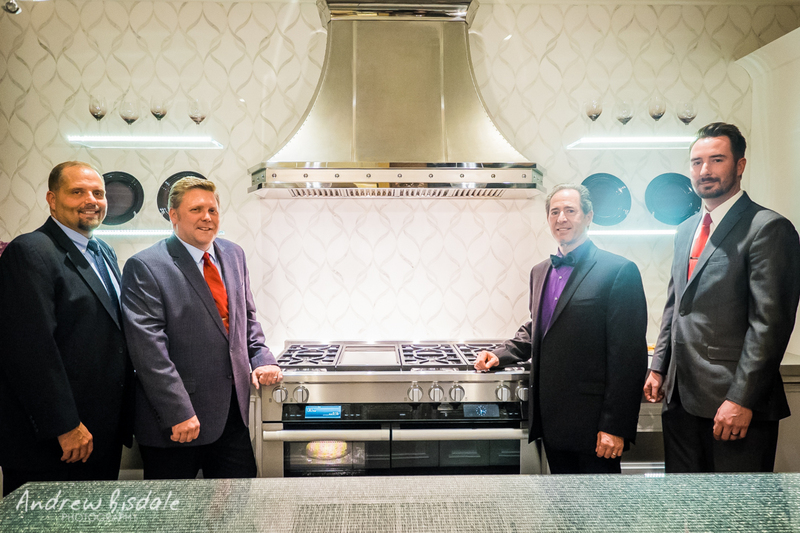 On Wednesday, November 4, 2015, Peter Salerno Inc. proudly held a debut celebration for its new transitional kitchen showroom display at its gorgeous Wyckoff, NJ showroom. The event was attended by a “who’s who” of the kitchen design, appliance and custom design world. The new transitional kitchen vignette is not only a showcase of Peter Salerno Inc.’s award-winning transitional kitchen design efforts, but of the new, state-of-the-art Miele kitchen appliance line. The centerpiece of the new transitional kitchen display is a stunning kitchen island, topped with a beautiful counter designed by Galaxy Glass. The thick glass slab is embedded with stainless steel mesh for a gorgeous, clean transitional design feel, and allows the user to opt between a soft white light or color wheel display option. Each of the Miele appliances showcased in this transitional kitchen design vignette is constructed with the same look and feel- from the construction and materials to the display and functionality. Every detail is methodically crafted to provide a seamless user experience. Happy New Year, and Have a Wonderful 2016! ← Peter Salerno Inc. Wishes You A Merry Christmas 2015!